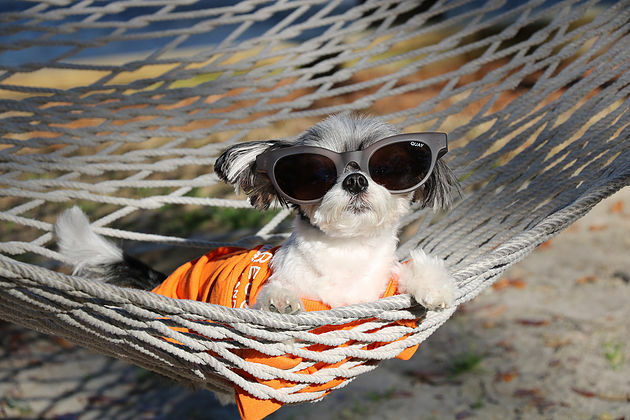 Taking it easy isn't very hard to do on Hilton Head Island, South Carolina. It was my first time venturing to the southern state and I'm so glad I went! I got to stay at the Sonesta Resort Hilton Head Island. 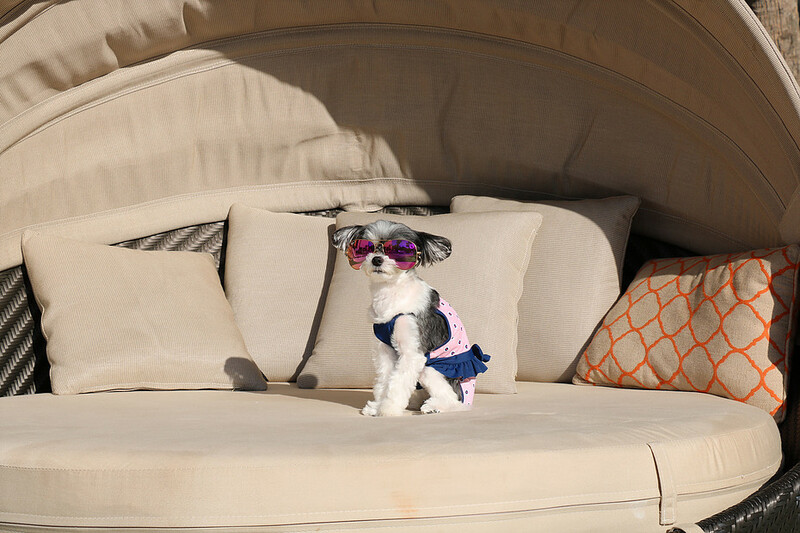 This is a private resort on the island geared towards families and of course it is pet friendly! and I even got a special signature Sonesta Hilton Head Island shirt to sport around! According to my human, the bed was super comfy and the rooms were clean and modern. There is also a special designated area outside of the hotel room where I can do my business in the outdoors which is super convenient for myself and for my human! The hotel has a private pool and beach as well as special activities planned each day for guests. While I was there some activities included Craft hour, Turtle Feeding, Happy Hour and Bike Rentals. One day my human wanted to explore the grounds and took advantage of the Bike Rental. They even had baskets to attach to the bike that I could sit in! Our bike adventures brought us all around the beautiful resort grounds! For dining you can choose between 2 sit down restaurants or in room dining. The breakfast in bed was my favorite, OBVY! my human who has food allergies to gluten and dairy though did have trouble finding options to eat and wouldn't recommend a person with allergies to eat at the hotel. 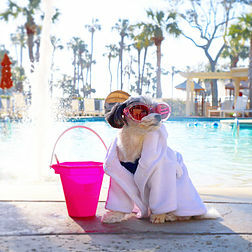 Overall,the Sonesta Resort Hilton Head Island is a great option for those families who are looking for relaxing south charm without leaving their 4 legged family members behind. 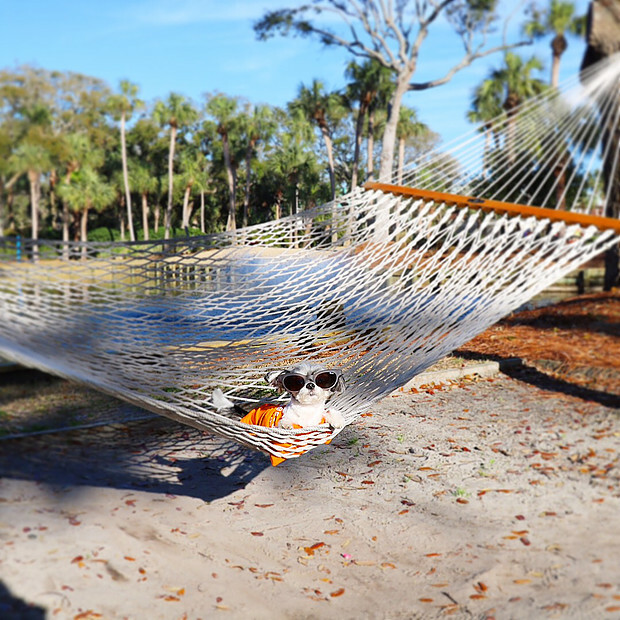 Check out more photos from my stay in the gallery below and check out the press article of my time in Hilton Head on ISLANDPACKET.COM !